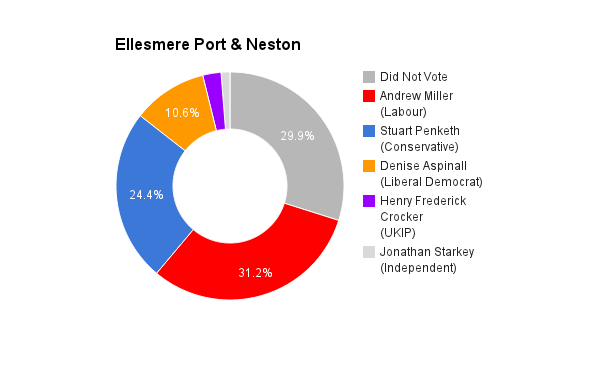 Ellesmere Port & Neston is located in Cheshire towards the north west of England. The seat was created in 1983 and has been held by the Labour Party since 1992. The current member of parliament is the Labour Party’s Andrew Miller who has served since 1992. Unlike a lot of wannabe MPs, I’m no career politician. I didn’t join a party when I was a teenager and I haven’t spent the past decade trying to fight my way to the top of a greasy pole. Instead, I went to state school in Manchester, became the first person in my family to go to University (where I studied science, not politics) and set about 20+ years working in business. I even spent some time as a safari ranger in Africa! More recently, I’ve run a furniture repair workshop here in Cheshire. I’ve worked for everything I’ve achieved. But I haven’t been able to do it alone. Throughout my life, I’ve depended on our NHS, which saved my life when I was a child. I’ve depended on our state schools. And I’ve depended on our infrastucture, like roads and railways, to get on in life. Because I’ve depended upon these things too, I know what matters most to hardworking people in Ellesmere Port & Neston. Back in 2012 I decided that I didn’t want to just hope our country would have a better future. I wanted to be part of securing that better future. So, I put my head above the parapet and joined the Conservatives. Today I’m bubbling with enthusiasm at the prospect of being a strong northern voice for Ellesmere Port and Neston in Parliament. Live in the community & drink in its pubs. Listen to friends & family who do hold not strong political affiliations. Hold fortnightly street surgeries for anyone to come & talk to me. I’m new to politics not to life. From a modest background I’ve earned my way since 14. 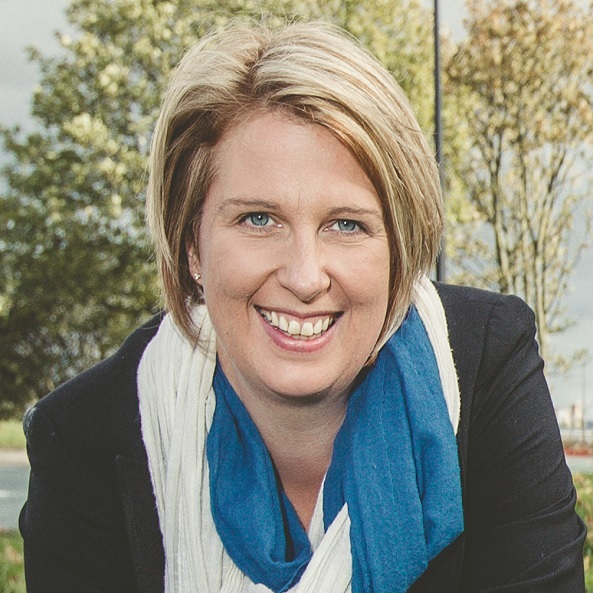 I’ve a science degree and a professional background in business IT, Change & Operations. In other words, I’ve spent a lifetime getting things done – and I’d like to bring this attitude to Westminster. I believe I’m the only person on the ballot paper who hasn’t stood for election before. I’ve joined politics as I believe in representative democracy and that having lived a full life before stepping forward to represent people is crucial to ensure you aren’t isolated in political circles. He’s a scientist & has done good work championing local engineering & technology industries so crucial for our future. My focus on infrastructure ( road , rail etc ) is to continue to attracted & enhance the position of this proud symbols of our collective northern heritage. I was in the city of London in 2010 and I don’t think we’ve done a good enough job as politicians to explain quite how much of a pickle we were in prior to the last general election. Given that position and the rumblings in the international money markets ( the people we owe our enormous national debt to ) our economic position could quite easily have become significantly worse. Our Long term economic plan now sees a jobs miracle with more people in work than ever before. I know it’s been tough with wages only increasing higher than inflation in the last year or so but when we look across the channel, high unemployment, stagnant economies & fragmenting communities, we see what could easily have happened to us – but hasn’t – due to strong economic leadership & a holistic approach to boosting growth & jobs at the same time as balancing the books. A bit of both. Britain’s always welcomed people coming here to work hard & contribute to our community. Here in the North West I’d be willing to bet that most of us have someone in our family who got off a boat / plane looking for a better life for themselves and their family. A vibrant British community is the result. I do however have a problem with people coming and taking not contributing. We need the power to ensure this does not happen & I welcome recent announcements aimed at ensuring this happens. I think it is starting to correct itself with wage growth overtaking inflation recently. This is a strong sign that we need to stay the course on our long term plan for the economy. Boosting the private sector through infrastructure, targeted support such as corporation tax cuts & investment keeps this moving forward. Managing our spending has make us look stable & attractive for inward investment which drives jobs growth ( approximately 2m more people in work since 2010 ). Our employment rates of around 74% is now at a point where private sector employers will ( and are ) increasing wages to attract & keep people. We’ve also given income tax cuts to 26m people & frozen duty rises to help people with plans for more cuts should we win the next election. I really welcome the recent announcement about Manchester’s plans to bring together NHS & Social care budgets. When speaking to Doctors integrating social care & NHS care ( as well as sharing information across services ) always comes up. Ensuring people leaving hospital are supported in a coordinated way & preventing needless extra days spent in wards will make a big difference. Boost private sector businesses and keep to the long term economic plan which has already created an additional 2m jobs since 2010. Focus on apprenticeships to help young people gain skills (4,470 new apprenticeships in Ellesmere Port & Neston since 2010) in and qualifications whilst earning. Improve skills of young people to ensure they are ready for work & help those from backgrounds with complex social challenges to meet employers needs. Yes – That’s why I’ve given up a lot to try and put more normal (ish ) northern lasses in Westminster ( if the electorate agrees with me ). I don’t know. I’d like to see what the renegotiation brings before I recommended either way.